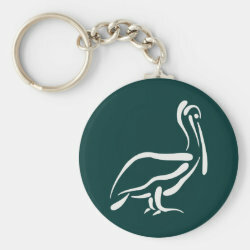 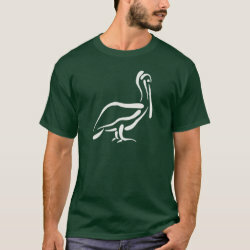 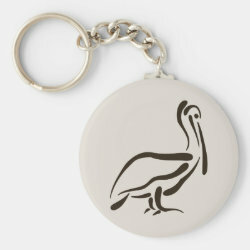 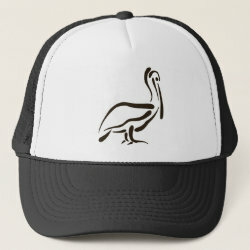 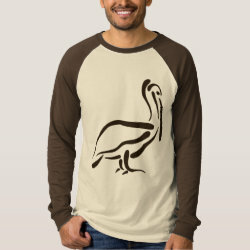 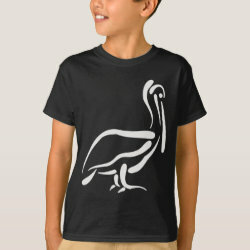 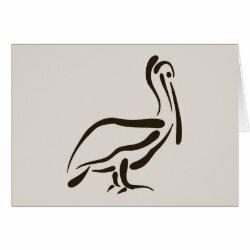 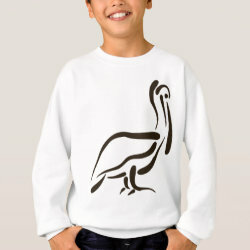 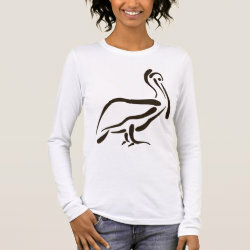 This is a simple, stylized line drawing of a pelican. 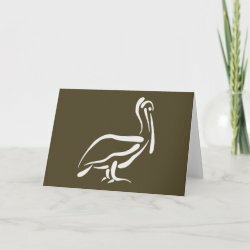 Just a few bold brushstrokes give the distinct impression of the bird's massive pouched bill, the broad, plump body, and stout legs. 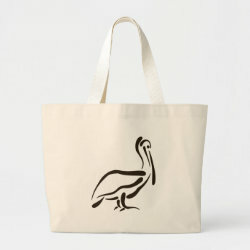 This stylish illustration makes a great gift idea for anyone that loves these unusual and charismatic birds!